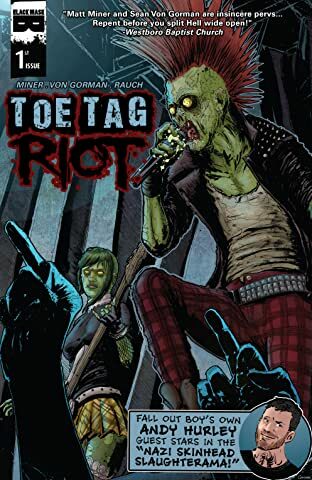 A hilarious and gory tongue-in-cheek story, Toe Tag Riot is a punk rock band cursed to become zombies whenever they perform their music! 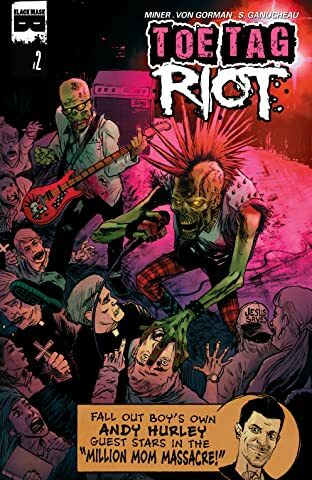 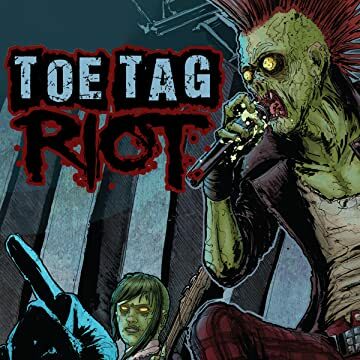 The band goes on a last cross-country tour in search of the cure to their affliction, but being the ethical sometimes-zombie punks that they are, Toe Tag Riot uses their zombie superpowers to rid the world of racists, homophobes, misogynists and all kinds of other nasty people. 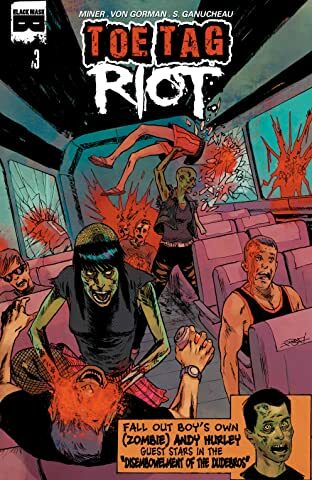 Read the LGBT-positive book that the Westboro Baptist Church themselves accidentally endorsed and then felt really stupid about doing! 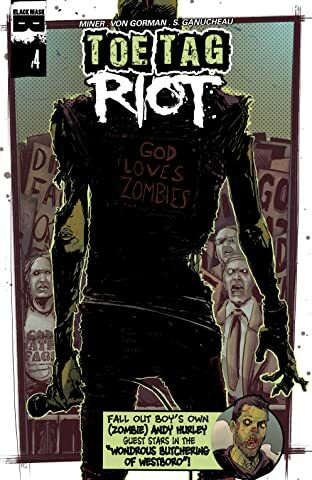 Guest appearances by Andy Hurley from Fall Out Boy and Gerard Way of My Chemical Romance!